Ramadan is always a bloodbath. The only thing worse than having Jihadists and terrorists running around is having hungry Jihadists and terrorists running around. As they normally do, terrorists are murdering Christians in Egypt for refusing to renounce their beliefs and convert to Islam. 29 Egyptian Christians on a pilgrimage to the Monastery of Saint Samuel the Confessor were murdered by ISIS militants after refusing to convert to Islam. Survivors say that the terrorists forced the occupants of a bus to exit the vehicle and asked each individual person’s faith before they were killed. As the people left the bus, they were asked to profess their belief in Islam, but all – including children, refused to do so. The result? They were shot in either the head or the throat. President Donald Trump addressed the slaughter in a statement on Friday. 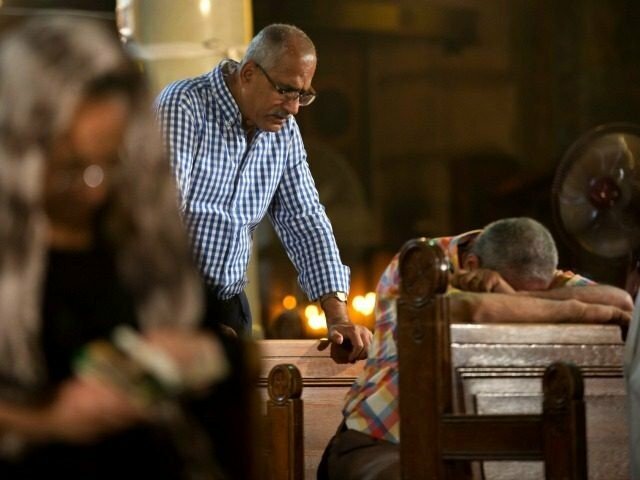 “This merciless slaughter of Christians in Egypt tears at our hearts and grieves our souls. Wherever innocent blood is spilled, a wound is inflicted upon humanity,” it reads. “America stands with President Al Sisi and all the Egyptian people today, and always, as we fight to defeat this common enemy. These Christians were made into martyrs for their faith by these animals, which is the last thing any terrorist wants for a person of another faith. Trump and America are dedicated to eradicating terrorism and allowing faiths all over the world to breathe easy knowing that they will no longer be forced to look over their shoulders. We cannot allow these “evil losers” to terrorize others who refuse to renounce their religion.